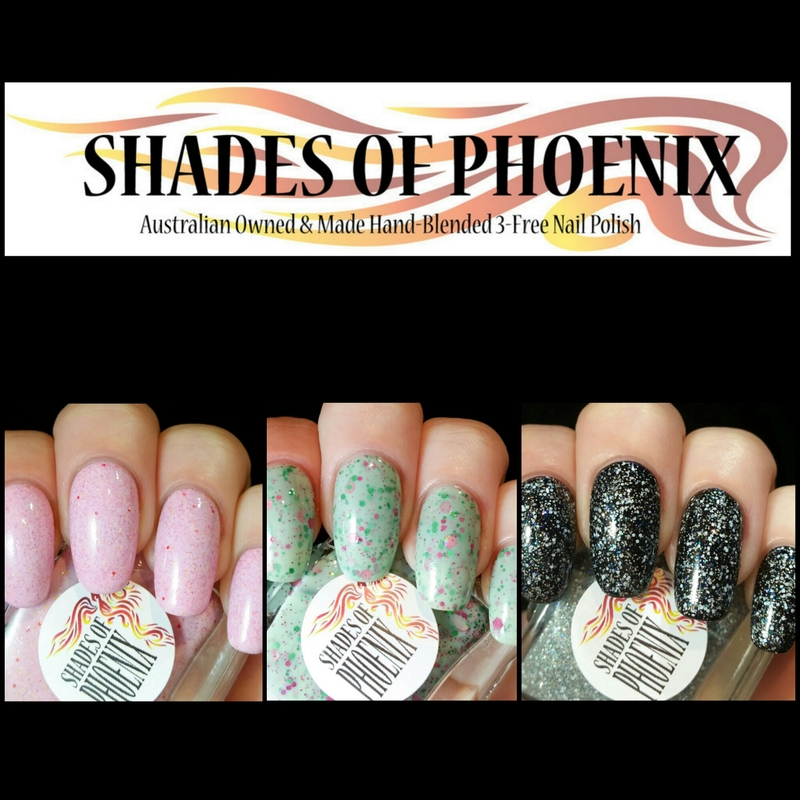 Here I have some swatches of the wonderful Xmas Trio by Aussie indie maker Shades Of Phoenix. These three polishes are a nice change from the regular red and green polishes we think of for Christmas nails. All of these have a wonderful formula, with the cremes only needing two coats and the glitter topper looks fantastic with just one. 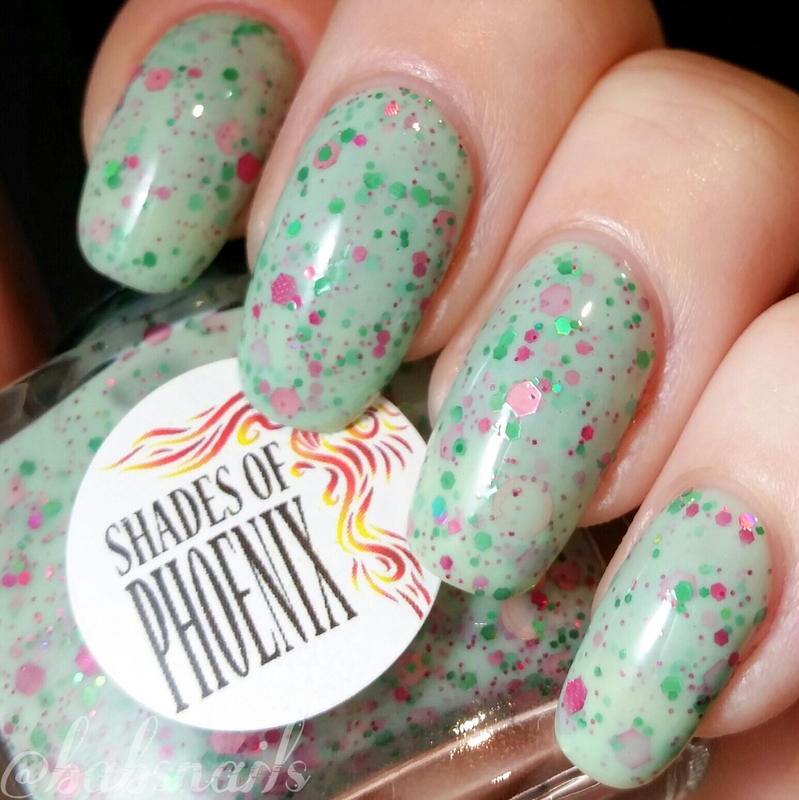 A minty green base filled with assorted dark pink, light pink and green glitters. Here I have two coats plus topcoat. 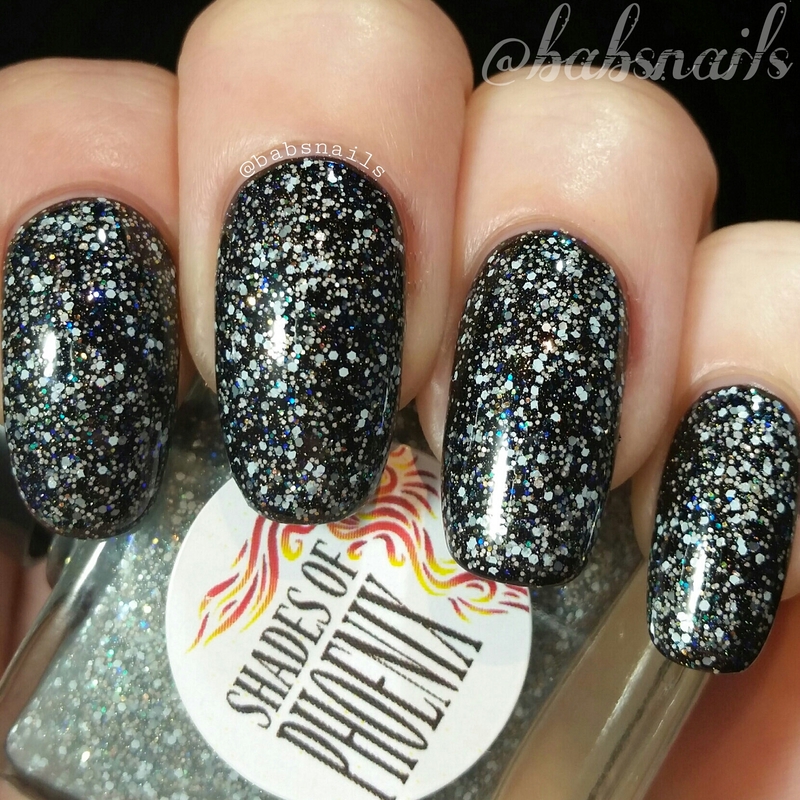 This polish applied beautifully with ample glitter in each coat. 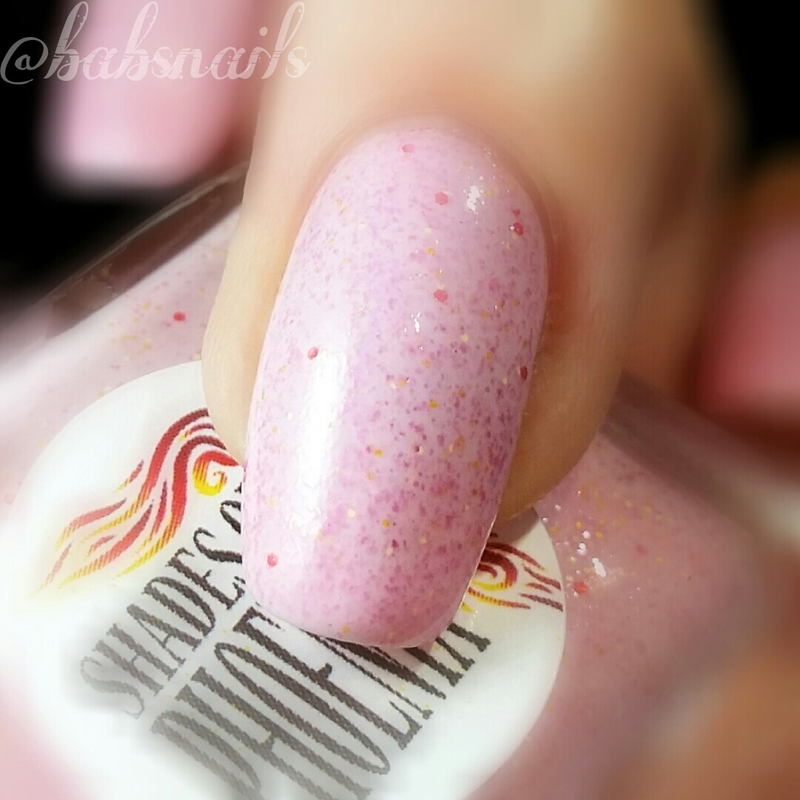 A beautiful pale pink filled with matte pink, red and yellow micro glitters. 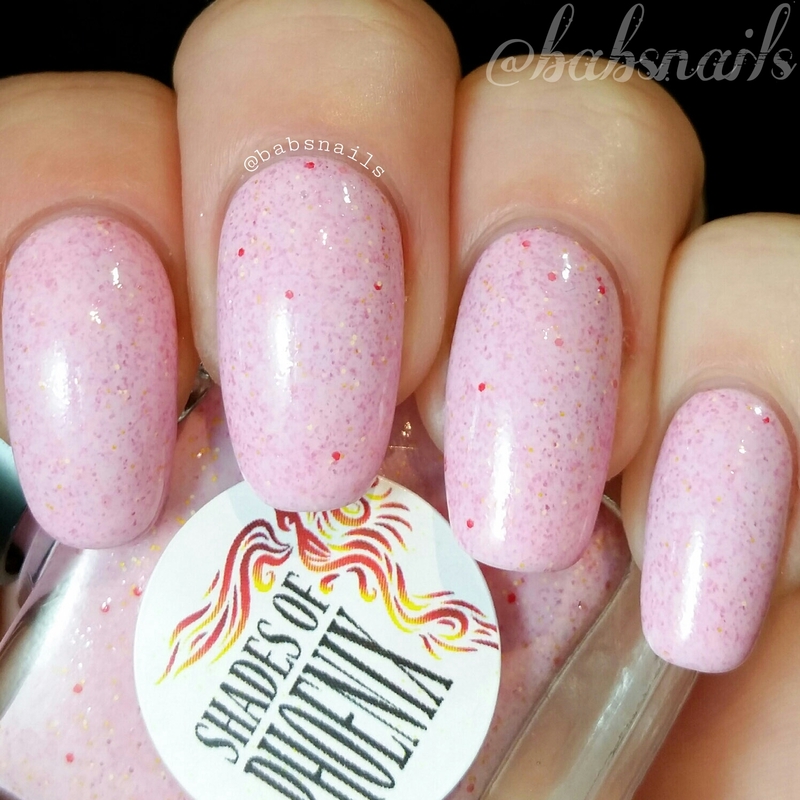 Such a beautifully girly polish! Here I have used just 2 coats plus top coat. Excellent application again with perfect coverage. 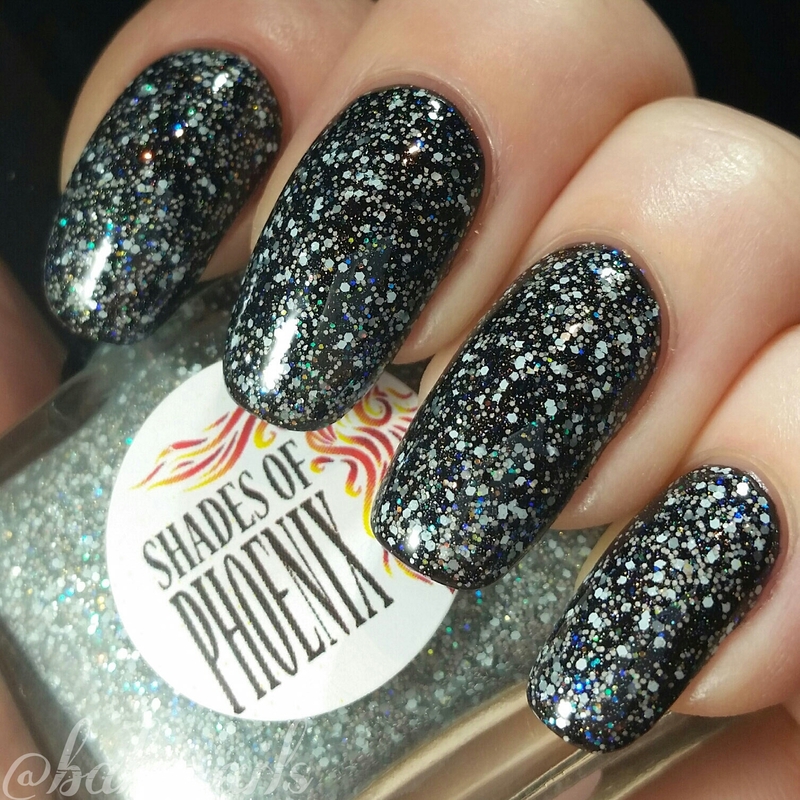 This is more than just a silver glitter topper. It has blue, brown white and iridescent glitters, it’s quite unique in my opinion. 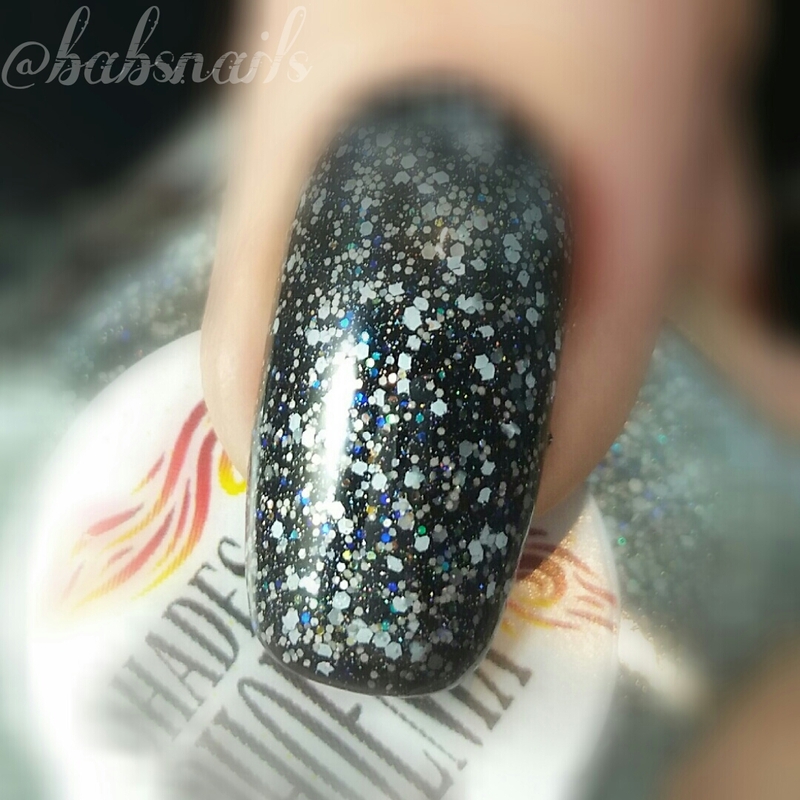 Here I’ve used two coats over a black base. 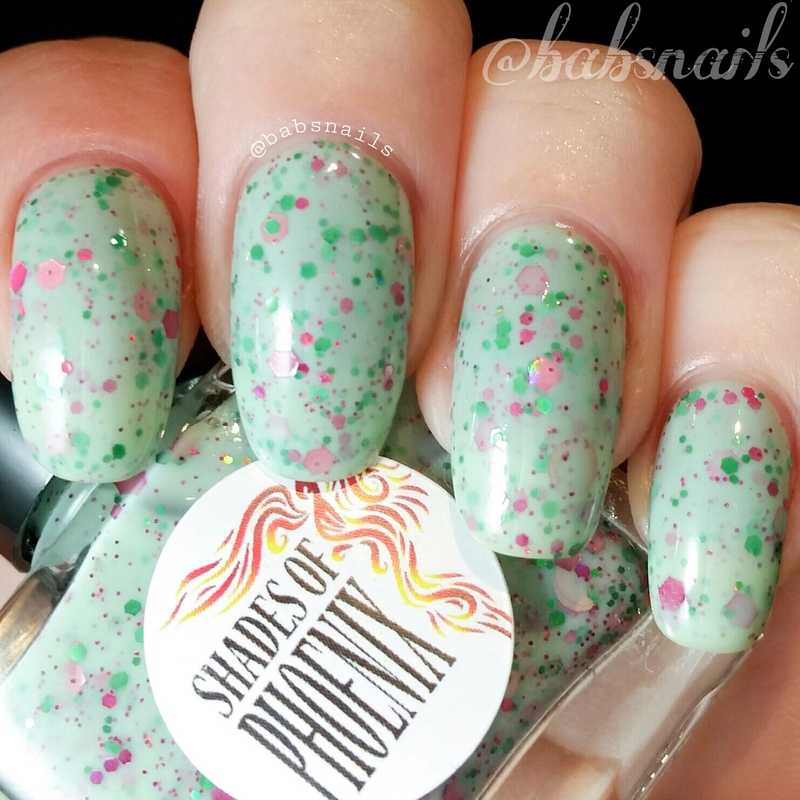 This beautiful Trio is available now from Shades Of Phoenix for $9.95 per bottle. 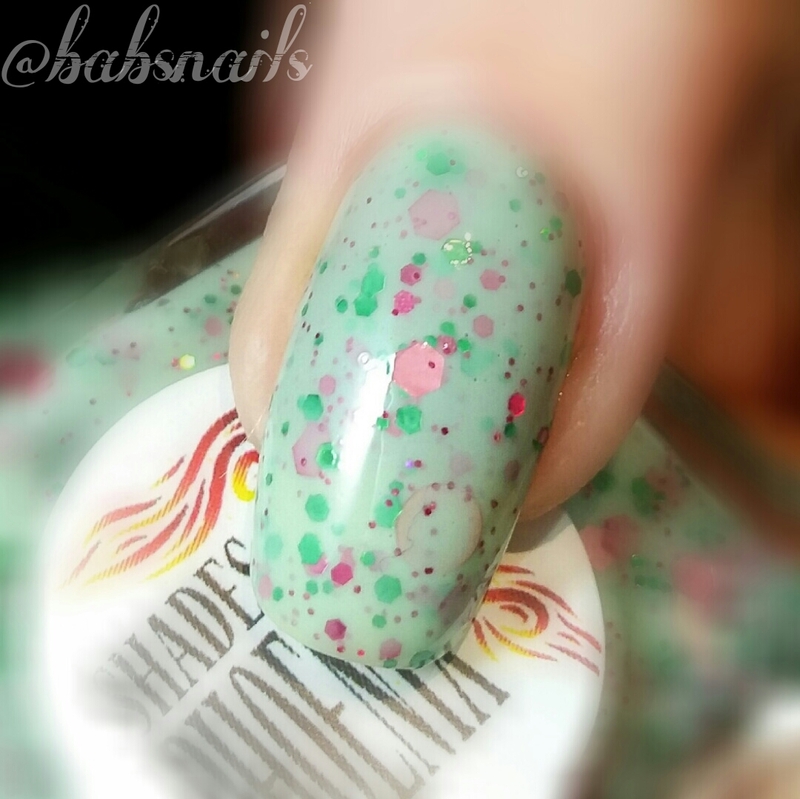 These polishes were sent for my honest review. Please refer to my disclosure for more information. 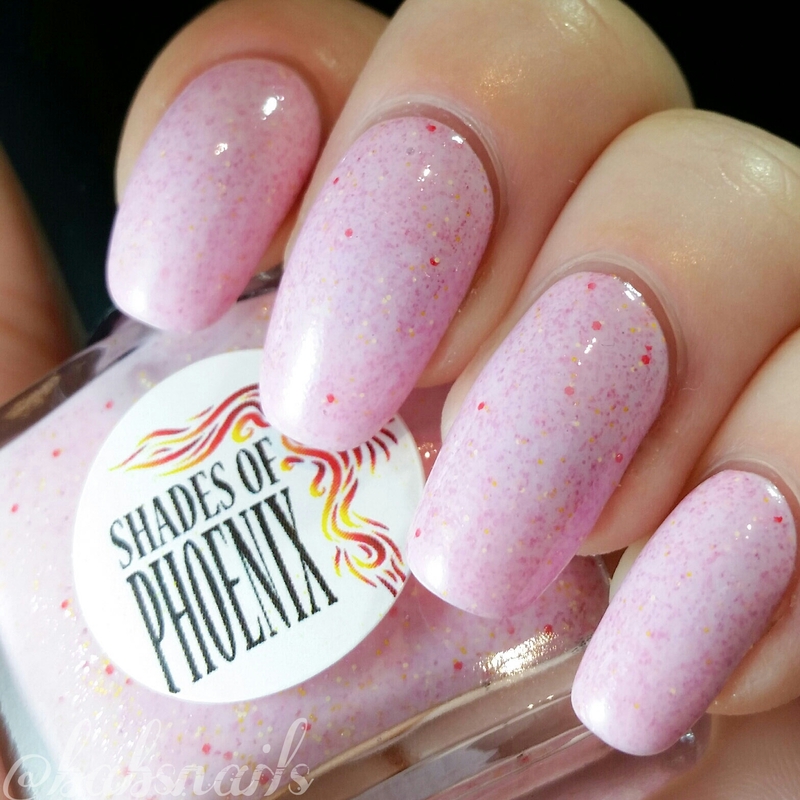 These shades are seriously fantastic! Perfect for Christmas but not the same old thing!